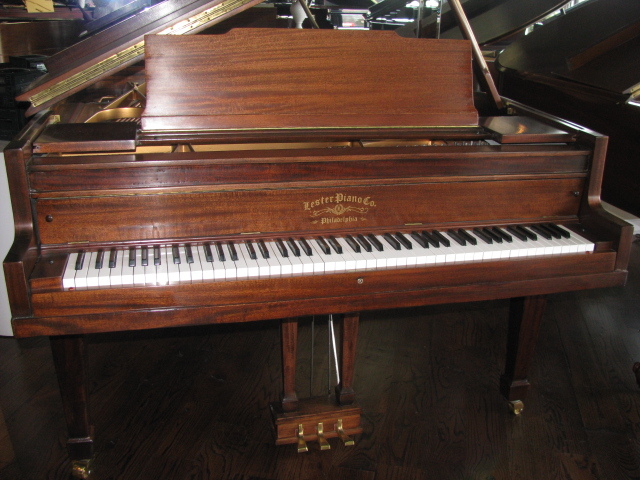 MANUFACTURER FACTS – Lester Piano Co. Est. 1888 in Philadelphia, PA • Lester pianos won a high place in the world of music because of their sweetness of tone and the care expended in their construction, adherence, on the part of the Lester Piano Co., to the principle of creating quality instruments, rather than to build vast numbers of pianos. • Lester known for the name Betsy Ross spinets & consoles are equipped with the exclusive Damp-Chaser to insure regulated moisture control at all times. • The Lester is the only piano equipped with the Damp-Chaser that protects the piano from dampness in all climates, reduces the number of tunings, keeps the piano in perfect playing condition and prolongs the life of the instrument. • The Lester “one name..one quality.. one price” policy was met with the universal approval of dealers and consumers.